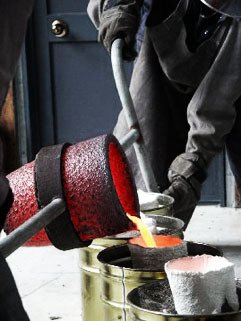 We regularly run Bronze Casting Workshops. the Waimea Estuary, and not quite 14km from Richmond on the Coastal Highway to Motueka. preparation of the waxes including spruing and application of ceramic shell; to the casting of your creations in bronze. We look forward to work-shopping with you.